The quality of the product is the beginning of a professional relation that every day put in the first place the needs of both patients and doctors. Smile means health. which is exactly what dental implants are. since people and their health are put in first place. become the focus of our work. Statistical monitoring on board, visual check on heights, threads and connections of EVERY SINGLE IMPLANT. All products are 100% controlled by high precision equipment. The innovative DLC coating (Diamond-Like Carbon) of our instruments minimizes heat dispersion to prevent excessive heating of the bone tissue and for a greater wear resistance. 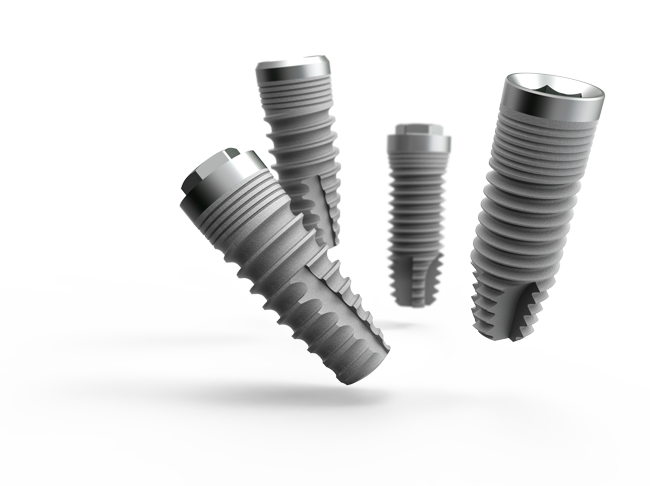 Studied for the best osseointegration, the implant surface is treated with a double acid-etching technique, which make our implants support the osteoblast adhesion during the primary healing phase. Our goal is to make people’s life easier, so they can smile again. For this reason, we put the best care and technology in our implant production, offering to dental professionals a team who focuses on the day-to-day business needs. It is simple, isn’t it? dental professionals in their daily job. Our products are 100% controlled in lab, using manual or automated methods. Packages are marked with different colors to help recognizing the implant diameters. Excellent stability and reduction in recovery time. We studied our implants to help dentists to perform at their best during dental surgery. We offer a wide range of prosthetic components compatible with our implants. 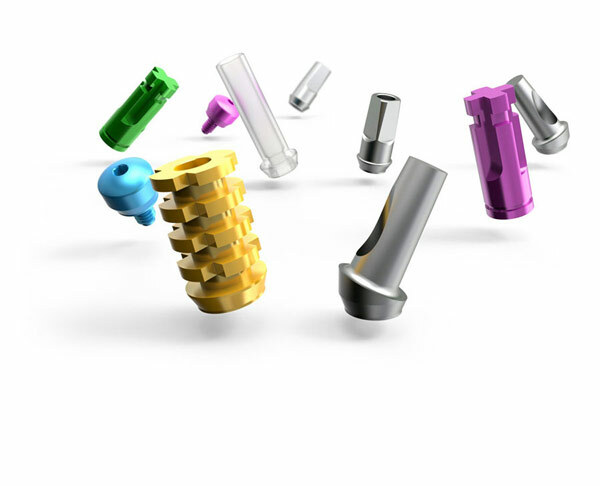 You can always find what you need: healing abutments, straight abutments, titanium abutments. Everything you need, best achieved. 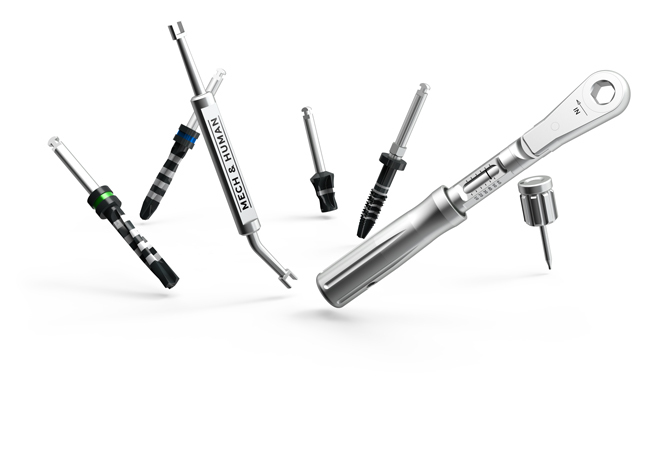 A complete range of instruments for the implant easy to use, realized with innovative materials, to facilitate professionals’ life. Conical and cylindrical dental implants, surgical kit, DLC-coated surgical instruments (Diamond-Like carbon), healing abutments, straight abutments, titanium abutments. Mech & Human produces and distributes all what dental professionals need with precision and advanced technologies. Mech & Human. Hi-tech Biomedical Technologies.